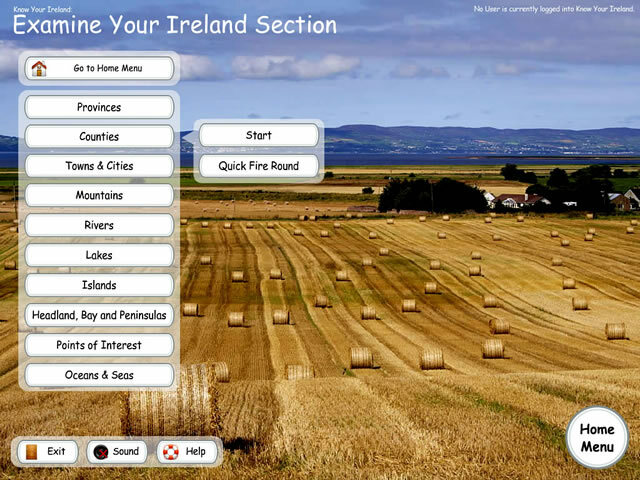 Know Your Ireland helps students of all ages to expand their knowledge of Irish geography. 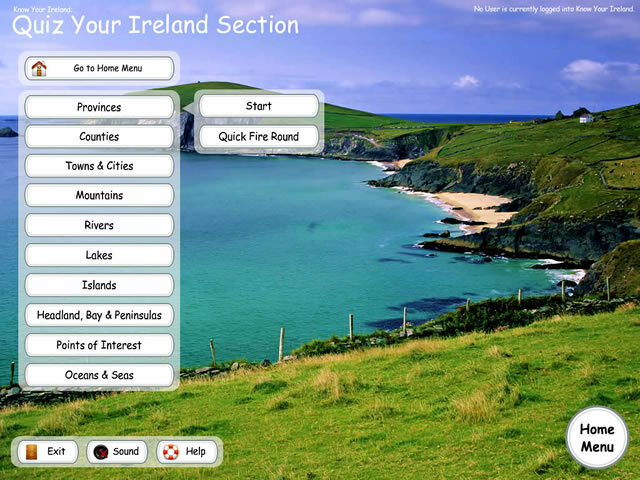 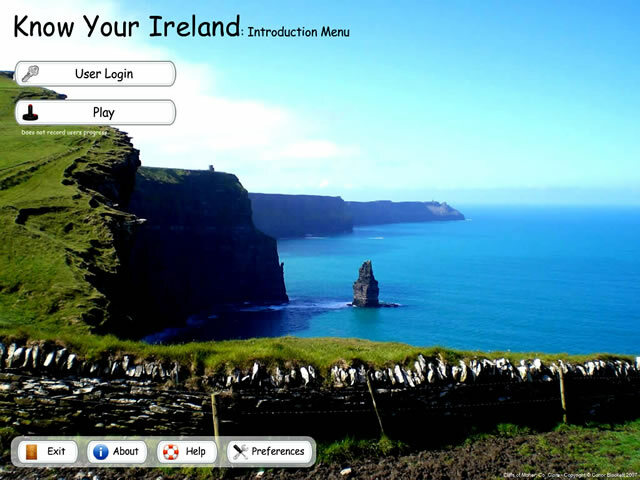 Know Your Ireland presents users with detailed maps of Ireland which they interact with to complete quizzes, games and puzzles. 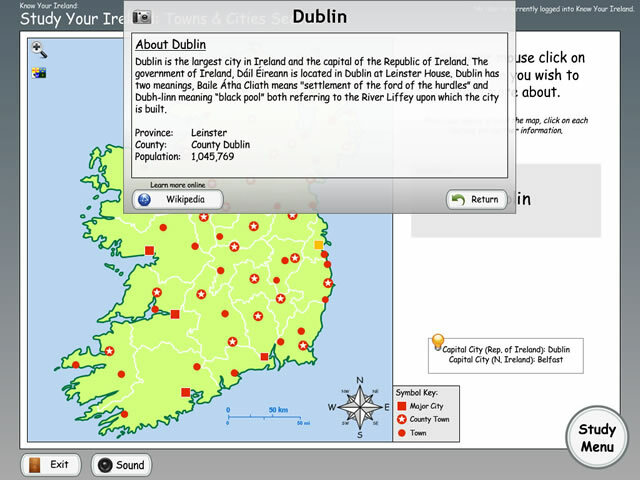 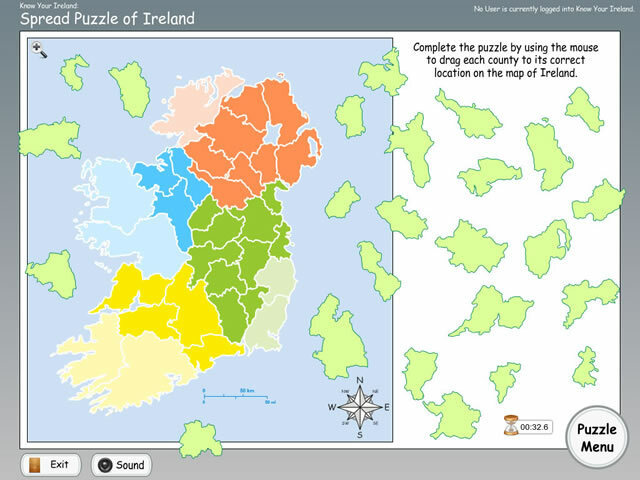 Our software is developed in Ireland, with Irish teachers to support the Primary School Curriculum. 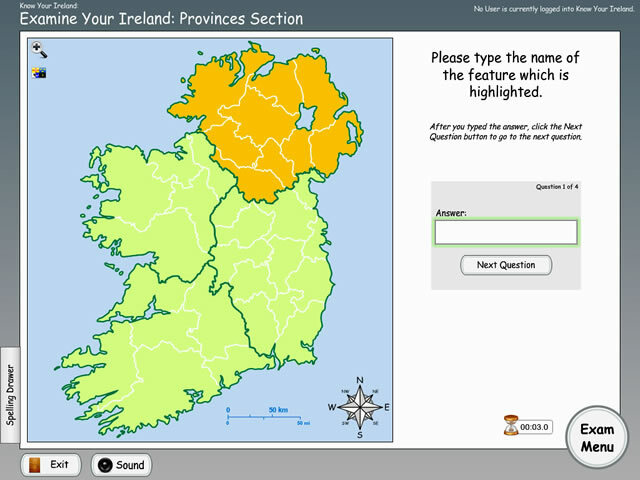 Currently Know Your Ireland is used in over 1,400 schools across Ireland and is ideal to use in the classroom with your interactive whiteboard. 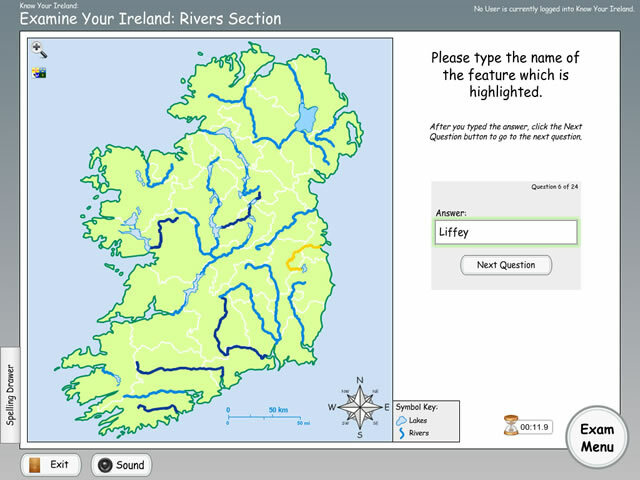 All major geographic features of Ireland are covered in detail: Provinces, Counties, County Towns, Major Towns, Cities, Rivers, Mountains, Lakes, Islands, Bays, Peninsulas, Headlands, Points of Interest and much, much more. 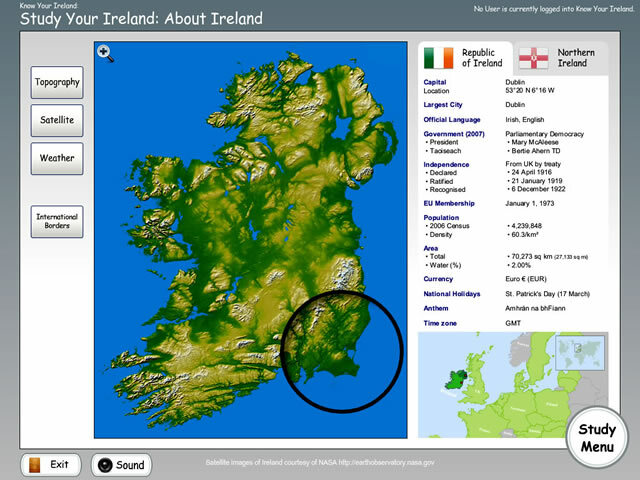 The learning process is enhanced with over 80 scenic photos of Ireland, detailed NASA satellite imagery, Google Earth places and web links, all designed to help users better understand the geography of Ireland.